Last year introduced a whole host of newly created products and newly discovered products for the designers at Beth Haley Design. We’ve narrowed down all of our favorites to five different products we look forward to using. 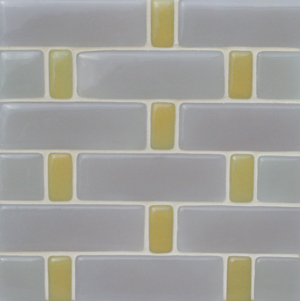 Fireclay Tile has been making beautiful handmade ceramic tiles for the past 22 years. Each year the company has made its tiles more and more sustainable. Starting with lead-free glazes, over 80 colors from which to choose, and including recycled content, the company doesn’t waste an opportunity to capture our attention with these handcrafted beauties. The Debris series boasts a high 70 percent recycled content and is available in 24 standard shapes as well as wonderfully designed specialty tiles. And if that isn’t enough, the company has developed a 100 percent recycled glass line! Crush is made from locally sourced glass and is available in 40 different colors and 17 different shapes. Earth Measure from Coldspring recently was named among 2014’s Top 10 Green Building Products. What is usually left as ground up to aggregate or small unusable waste pieces, Earth Measure transforms into a sustainable natural stone product. Coldspring works to find local and domestic stone aggregate or repurpose existing salvaged stone to allow the use of natural stone without any new quarrying. And what is better than not removing a large chunk of the earth? It is packaged using the recyclable material. No waste is created and it is available in three patterns. The company reports the product does not contain any chemical additives, plastics, metals, or resins. Kallista is a high-end plumbing line that produces beautiful fixtures for both the kitchen and bathroom. In 2013, Kallista modified some of its most popular showerheads to comply with CalGreen standards. 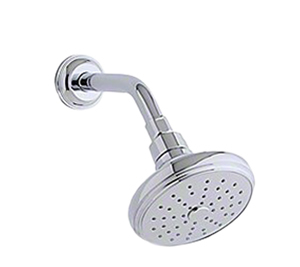 With the use of an air-induced stream technology, these showerheads produce a large water drop spray that provides consistent pressure through 48 nozzles to create a cleansing, concentrated coverage at 2.0 gallons per minute. With these good looks and water saving technology, showering has never looked so good. 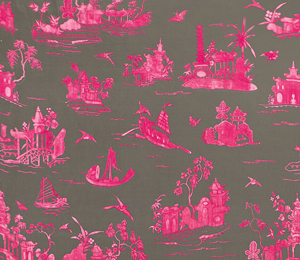 Schumacher recently released Alessandra Branca’s new fabric and wallcovering collection. Parts of this collection were inspired by an 18th century Coromandel screen. We are so excited about these new spins on retro chintz and prints. The designs are colorful and bold and take traditional Chinoiserie and Damask and turn them into stylish, fun evoking patterns. The prints in this collection are 100 percent cotton or linen and are available in three different colors. Look for them on our showroom floor. The last shining product we are excited about using in 2014 is Tech Lighting’s Artic Pendant. This 44-in. 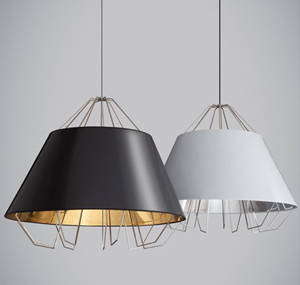 diameter sculptural metal pendant is an elegant take on a modern light fixture. The metal frame is surrounded by a clean-lined semi-translucent shade which has a high gloss interior of either gold or silver. Not only is this fixture handsomely playful, it is available with an energy saving 13-watt medium base LED. It’s available in four different color combinations as well as a mini pendant.